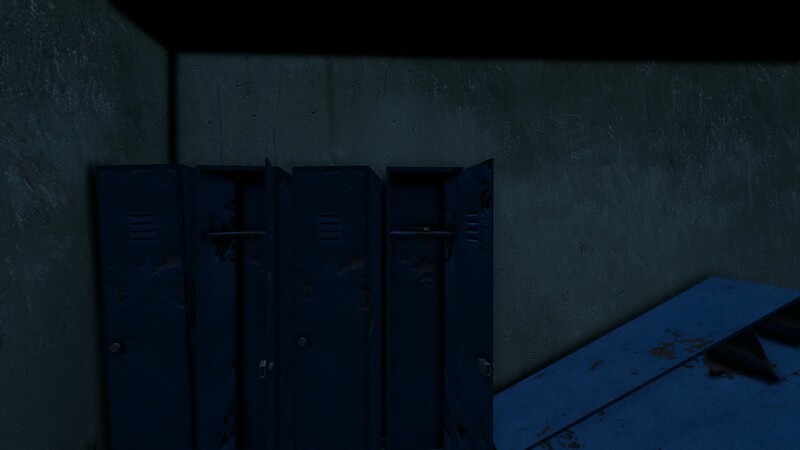 I have noticed the blue lockers in guard houses will sometimes spawn items/loot. If you look at the shelf you can see a magazine of ammo but there is no menu prompt to pick up the item. Also if you go into inventory in does not show in the general vicinity either as nearby for pickup. I have tried moving around and jumping yet the item can not be picked up. This has happened whenever I am in a guard house and if an item spawned in the locker. Go inot a guardhouse that has blue lockers. If an item spawns in the locker you can not pick it up even though it is visable by looking at it in game. Yeah i have come across this a few times. What I have done to get the item (thats if it's at the top of the locker) i have put my crosshair on it and jumped. It seems to work for me. You can normally see the item after that in the menu or you should just be able to pick it up. This seems to be fixed, I have been able to loot things from these lockers for some time.